Everyone was astonished when the beautiful Josephine Rivron rejected the young, popular and handsome Frank Cornell, and married his elderly, wealthy father John instead. When John fell ill and died shortly after marrying, there were suspicions that the cause wasn’t pneumonia, but a nasty case of poisoning. Then Frank Cornell too was dead – shot through the head, the weapon vanished. This time no one had any doubt it was murder. Amateur sleuth Algernon Vereker is drawn to this case, his fourth, by a recurring bout of his “old detective fever”. He packs his Colt automatic and joins Inspector Heather down at Marston Manor to investigate. The Ginger Cat Mystery (1935 – titled Murder at Marston Manor in the USA) is a classic country house whodunit stuffed with suspects, clues, red herrings and dark deeds. 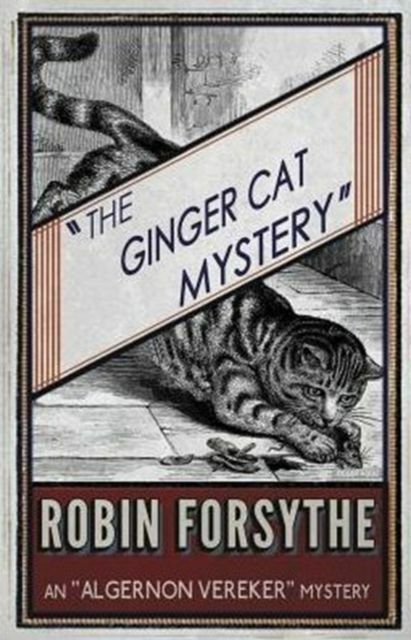 Not to mention the eponymous feline, whose tell-tale fur might just help to hang a murderer. This new edition, the first in over seventy years, features an introduction by Curtis Evans.